Warne, who led Rajasthan Royals to its first IPL title in 2008, was the mentor of the side last season. 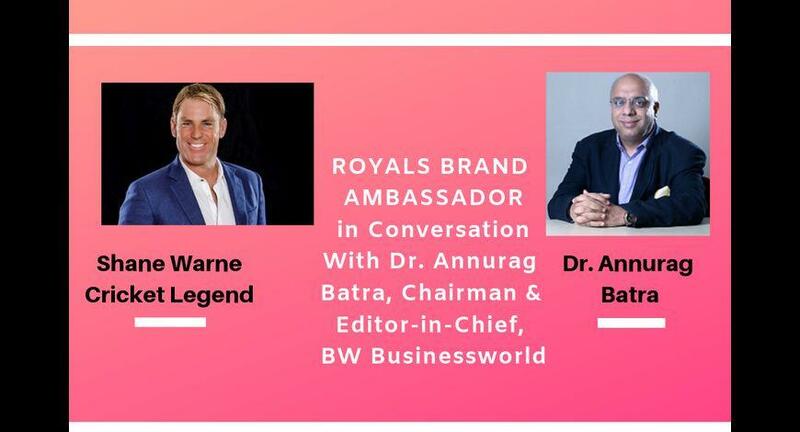 Australia spin legend Shane Warne, who was recently named as the brand ambassador of Rajasthan Royals for the upcoming season of Indian Premier League will be sharing stage with Dr. Annurag Batra, Chairman and Editor-in-Chief BW Businessworld and exchange4media Group for an exclusive one on one conversation on 12th March 2019. Warne, who led Rajasthan Royals to its first IPL title in 2008, was the mentor of the side last season. But this year the Australian will be associated with the team in a new role.